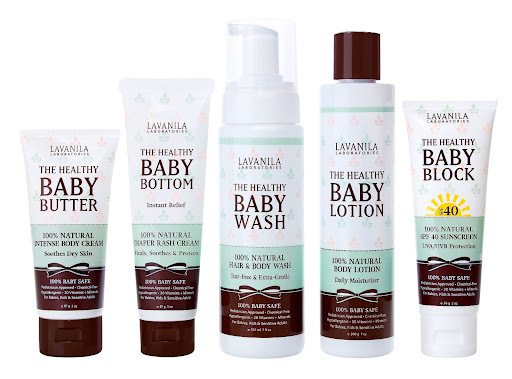 There's a new(ish) baby skin care collection on the block: Lavanila's Healthy Baby Collection, and it includes: Baby Wash, Baby Lotion, Baby Bottom, Baby Butter, and Baby Block SPF 40. I have tried the Healthy Baby Butter, which, like all of the products in the baby line is 100% free of harmful chemicals such as sulfates, parabens, phthalates, silicone, propylene glycol, mineral oil, formaldehyde and synthetic fragrances and dyes. 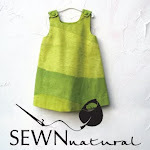 The collection is also hypoallergenic, gluten free and free of ingredients from common allergens including nuts, soy and dairy. I love that the Healthy Baby Butter is rich and creamy while also very easily absorbed by the skin, and that it doesn't leave a greasy residue. I also love that it has that "baby smell" we all know and love. As a reader of Petite Planet, you know my commitment to making sure bath time regimens are healthy and non-toxic for babies and children (as they should be for adults as well)... I have even dedicated an entire category on Petite Planet to bath and beauty so parents may be educated on the healthiest choices in skin care for their kids. Lavanila baby products contain 100% safe ingredients, as well as 30 essential vitamins and minerals to soothe and protect baby's delicate skin. The collection is currently available at Sephora and on Lavanila.com.